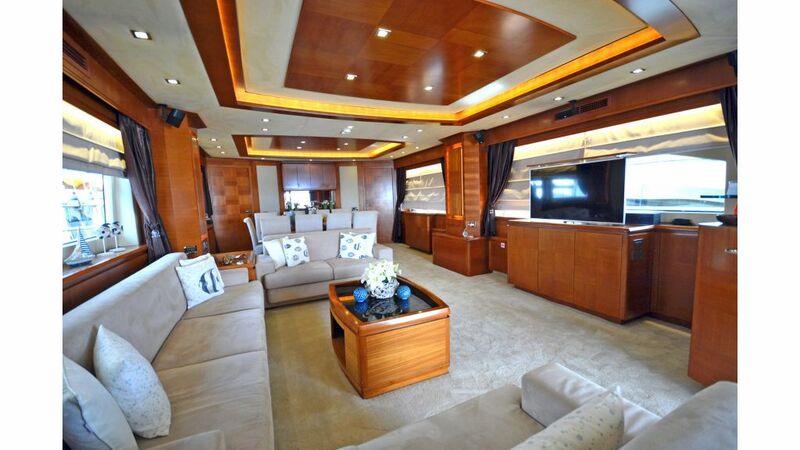 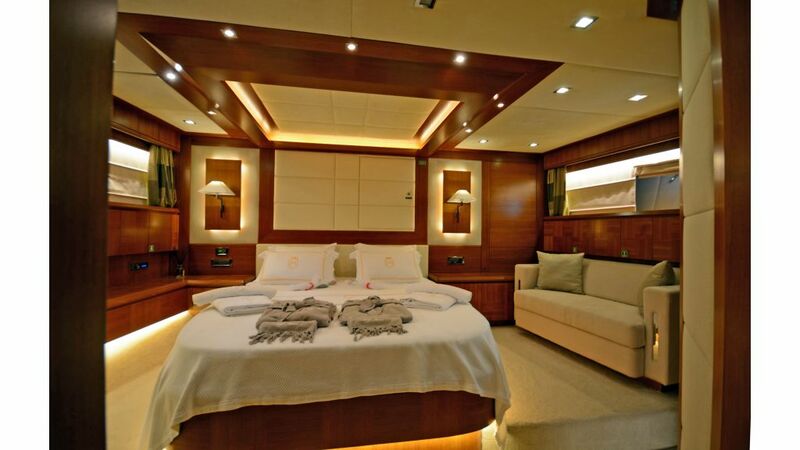 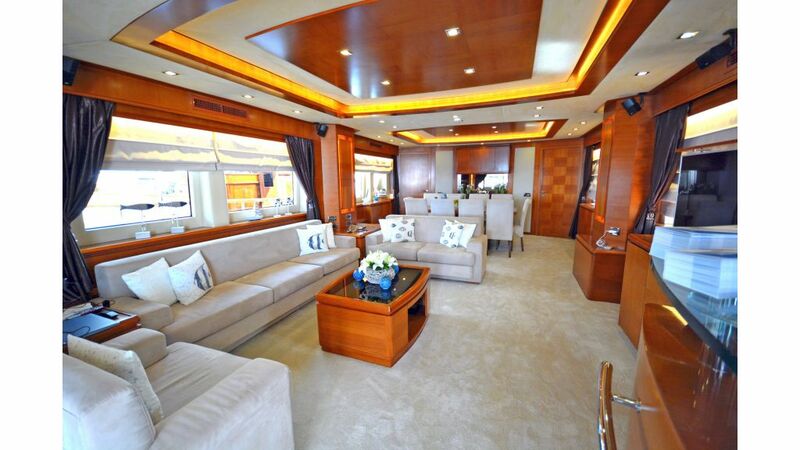 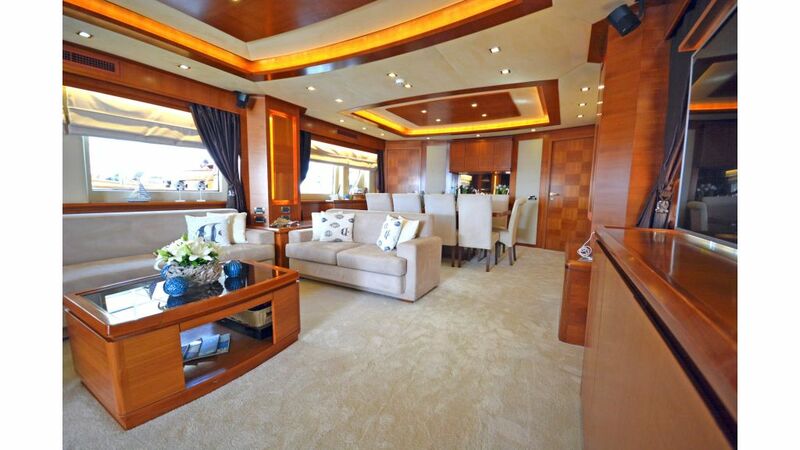 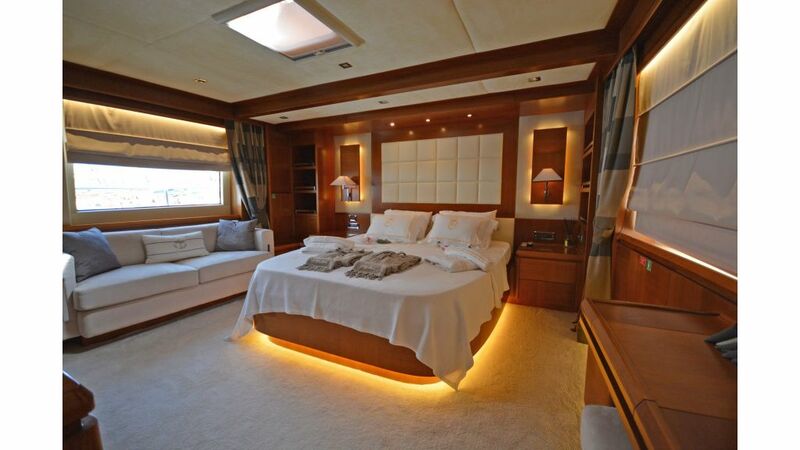 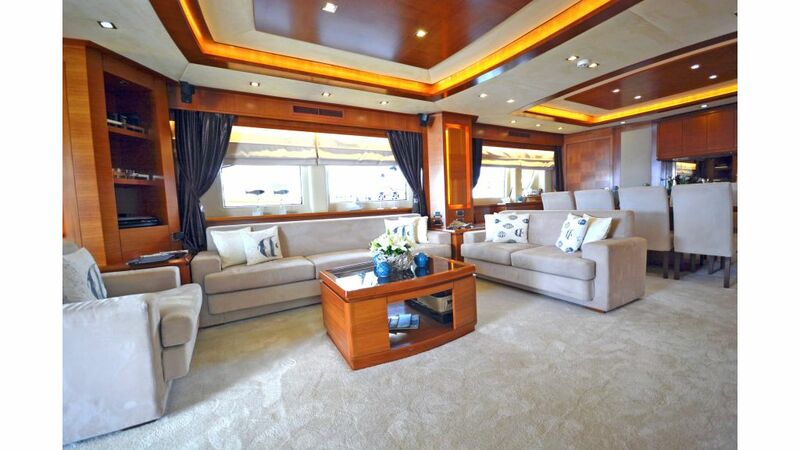 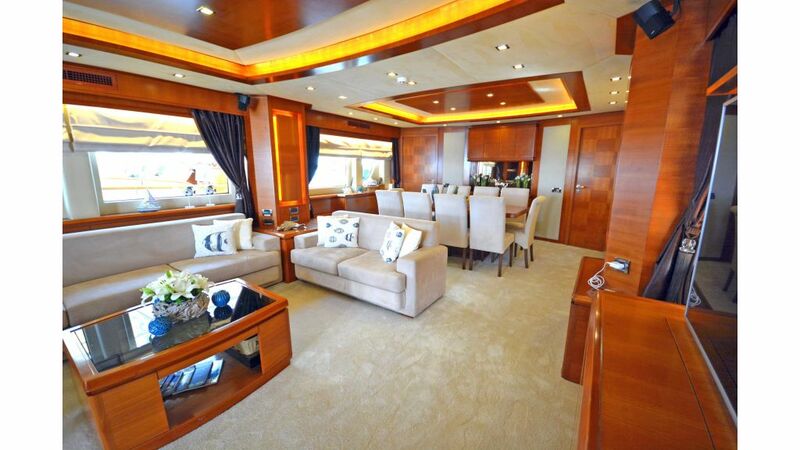 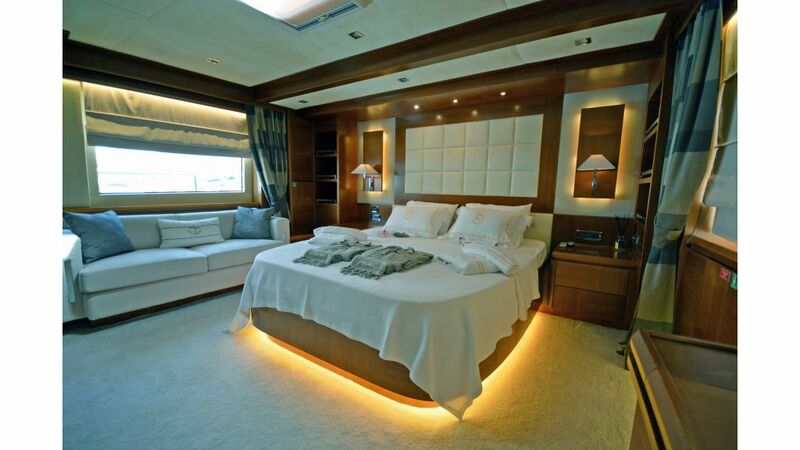 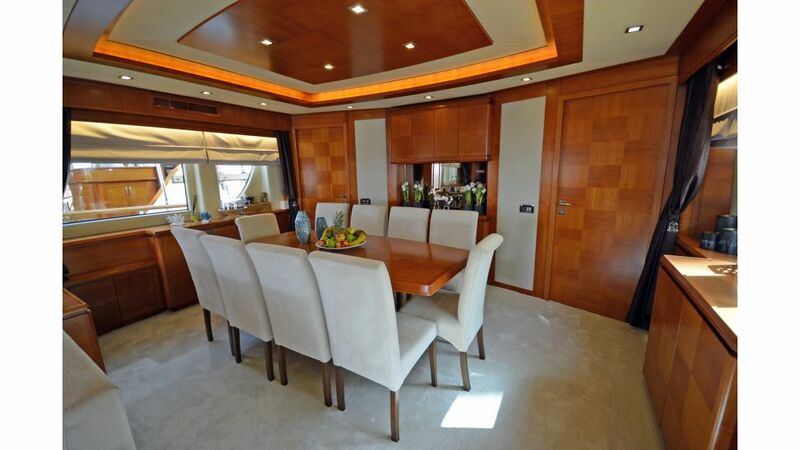 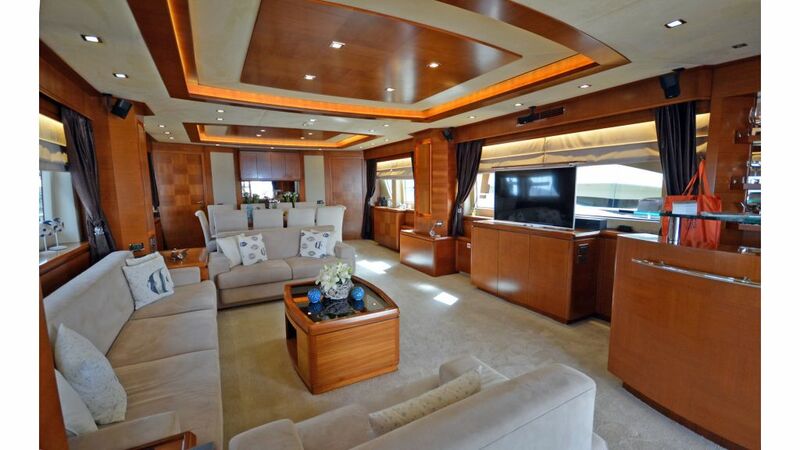 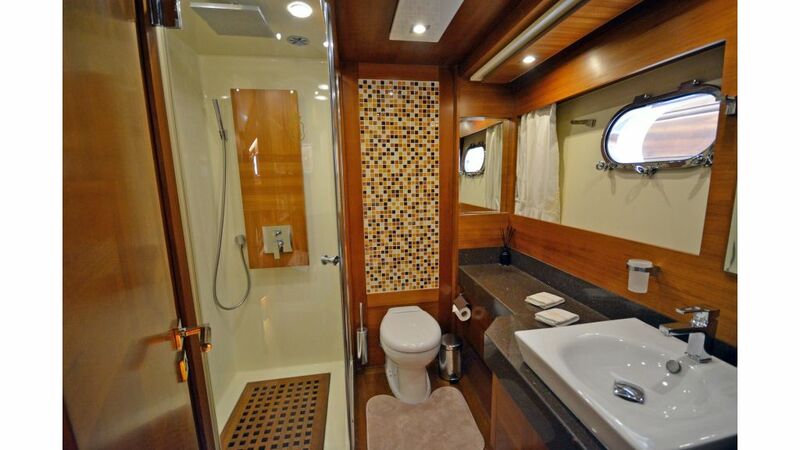 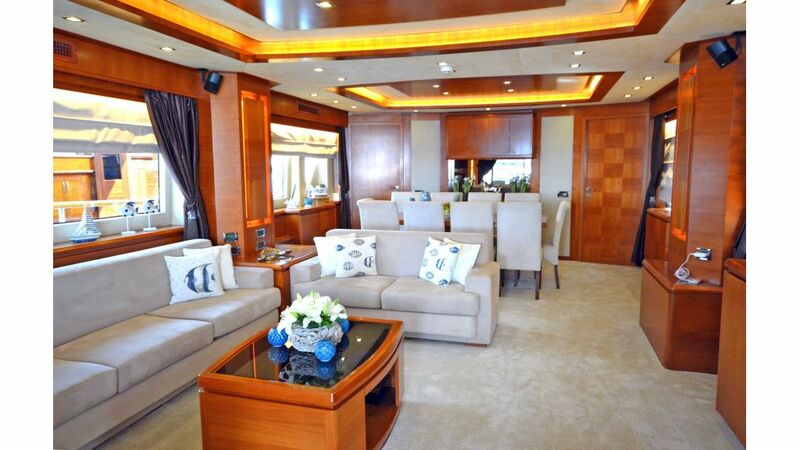 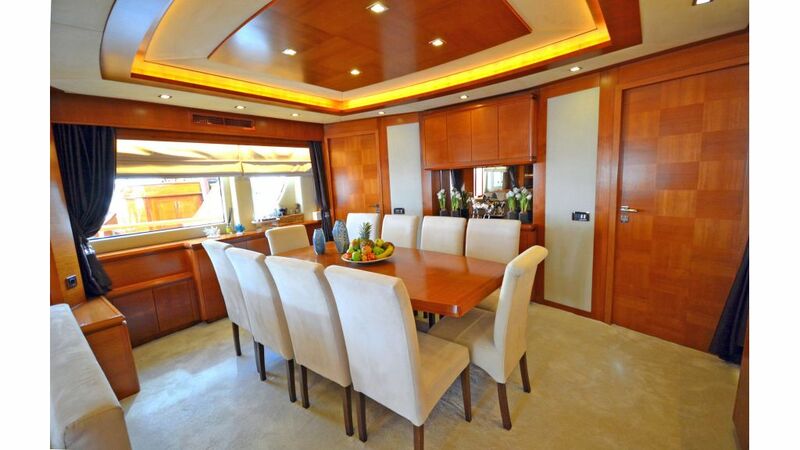 MERVE is a sensational 110 ft motor yacht, accommodating up to 10 guests in 5 staterooms. 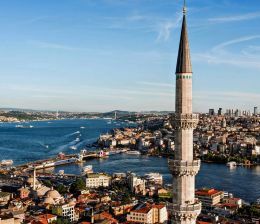 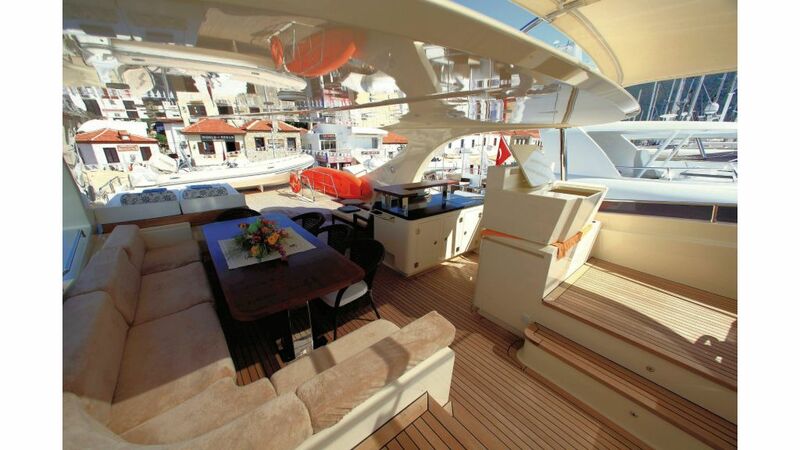 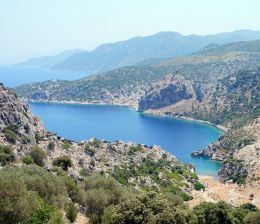 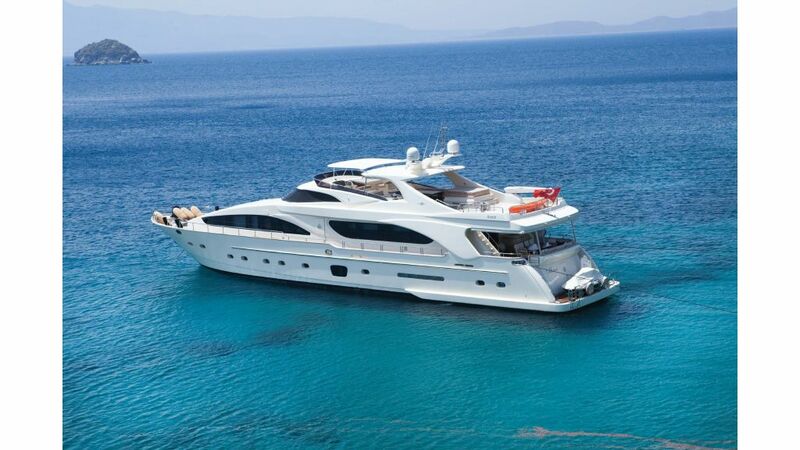 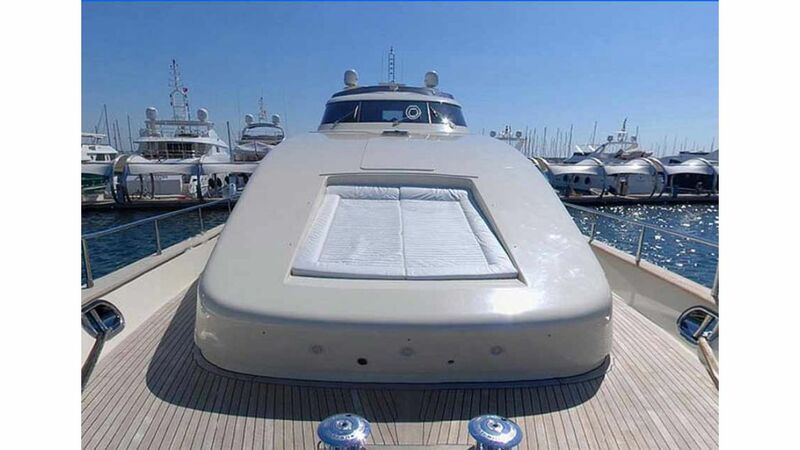 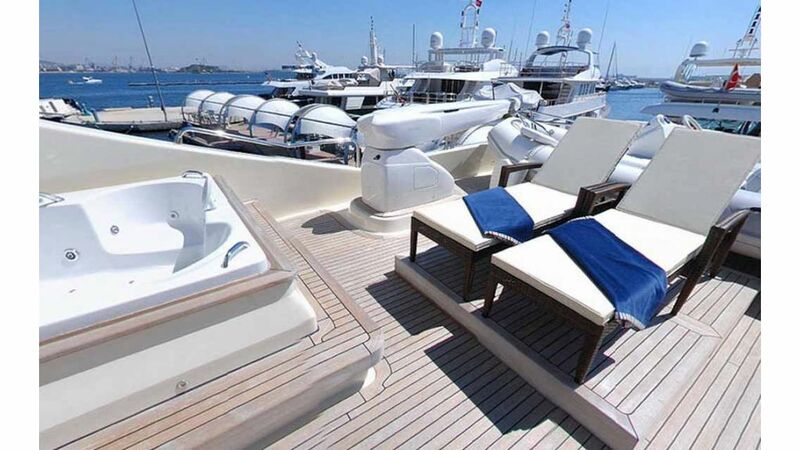 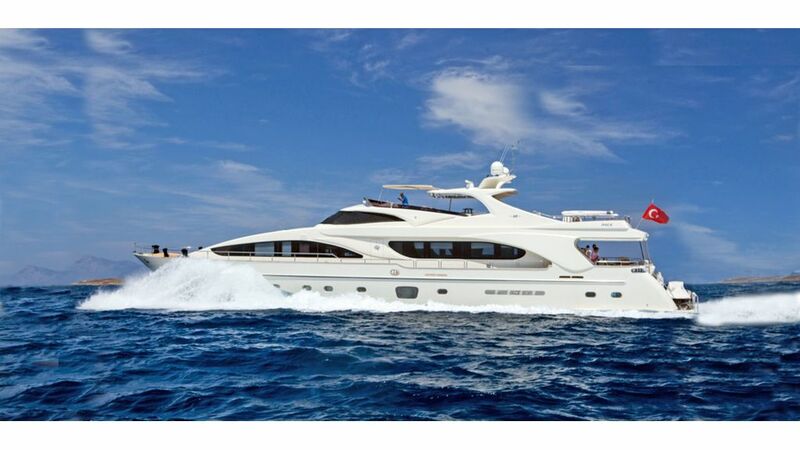 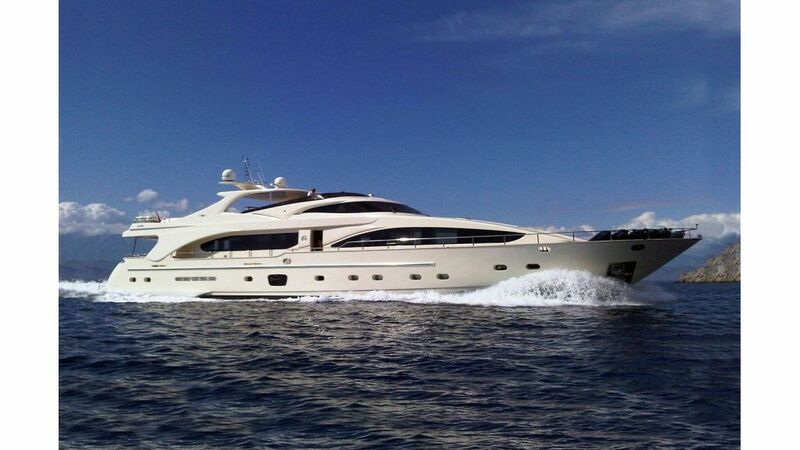 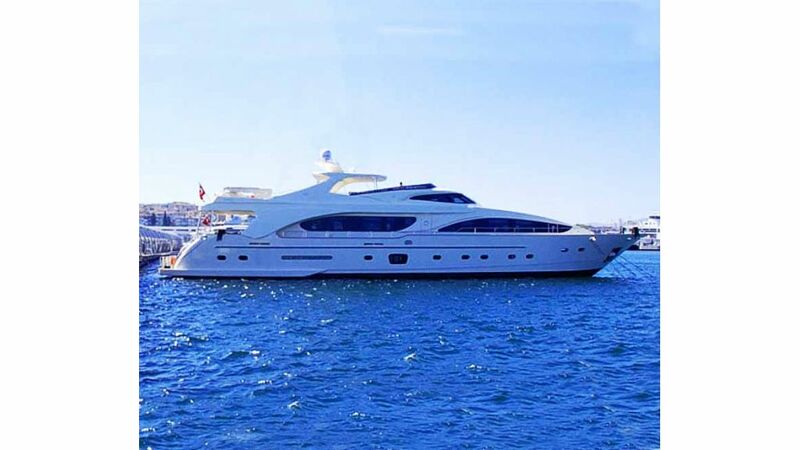 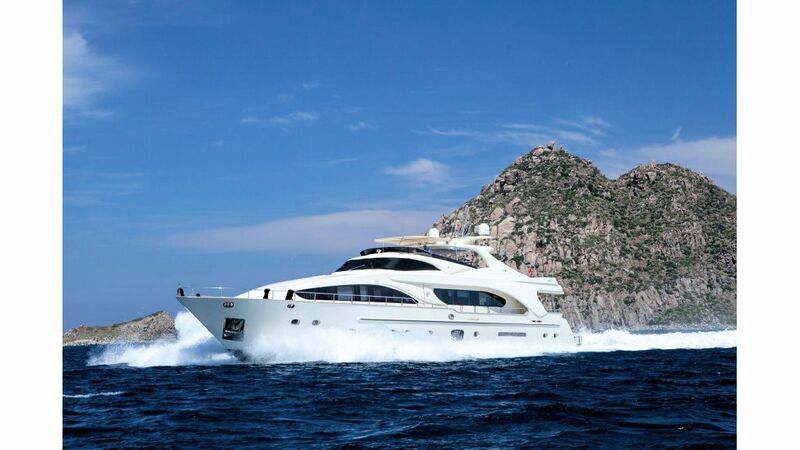 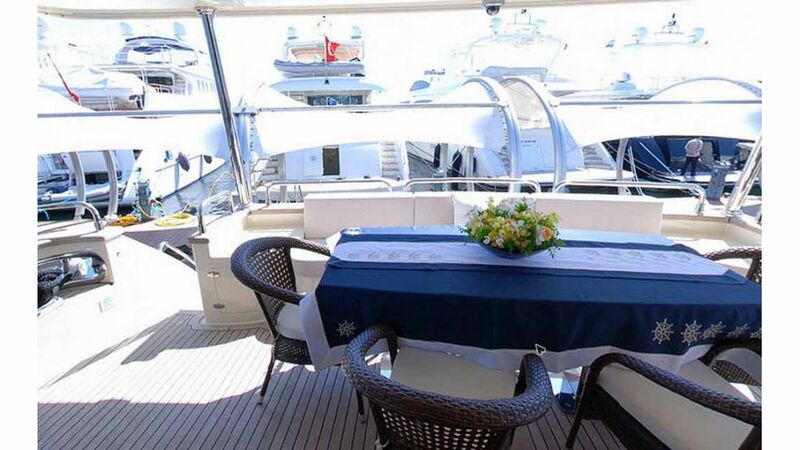 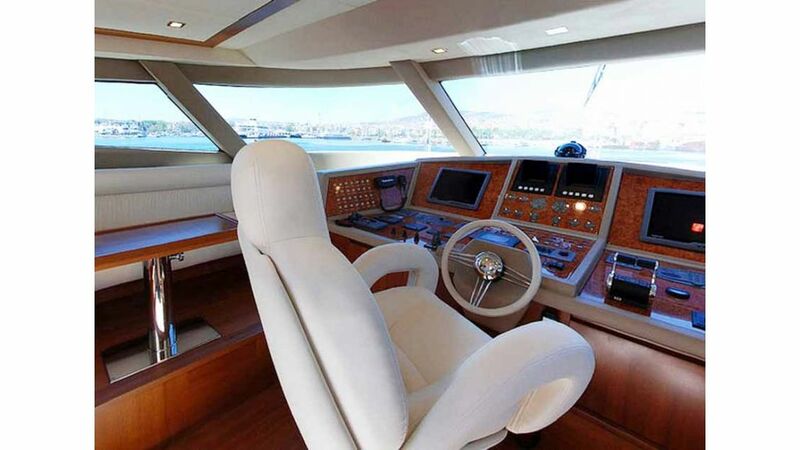 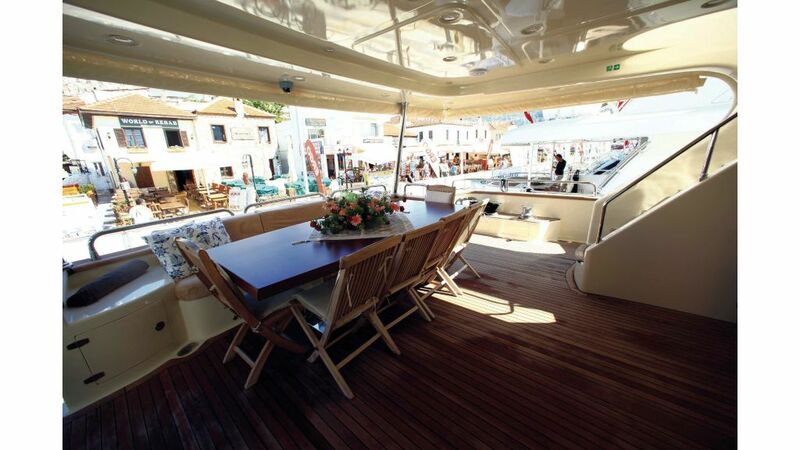 She is perfect for your next charter vacation around Bodrum, and the stunning Turkish coastline. 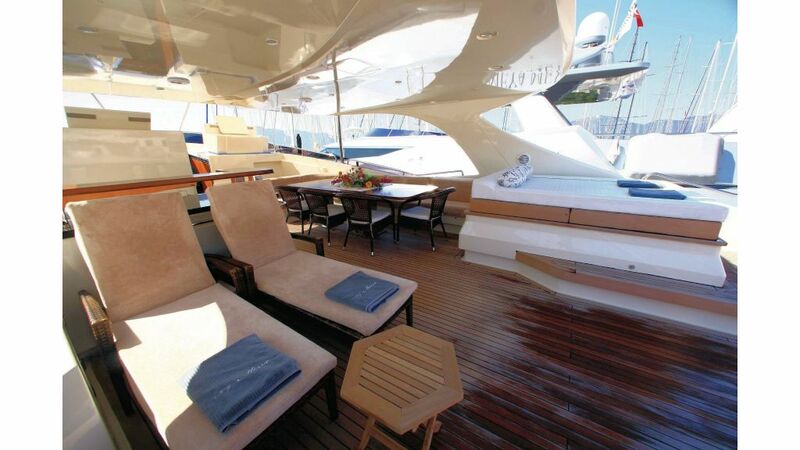 Relax onboard in her modern contemporary interior, you will soon have the feeling of complete indulgence and relaxation, or for the more active why not try out her water toys. 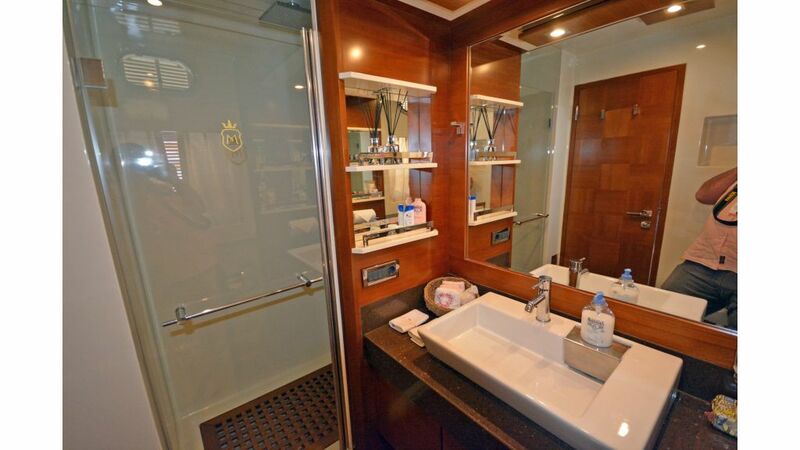 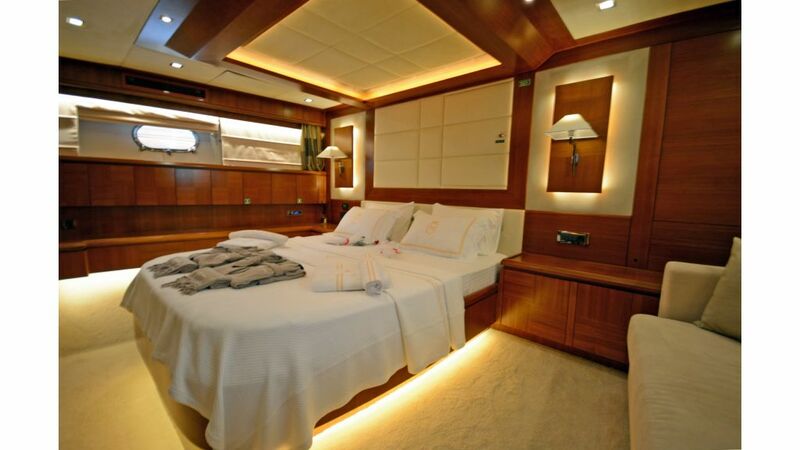 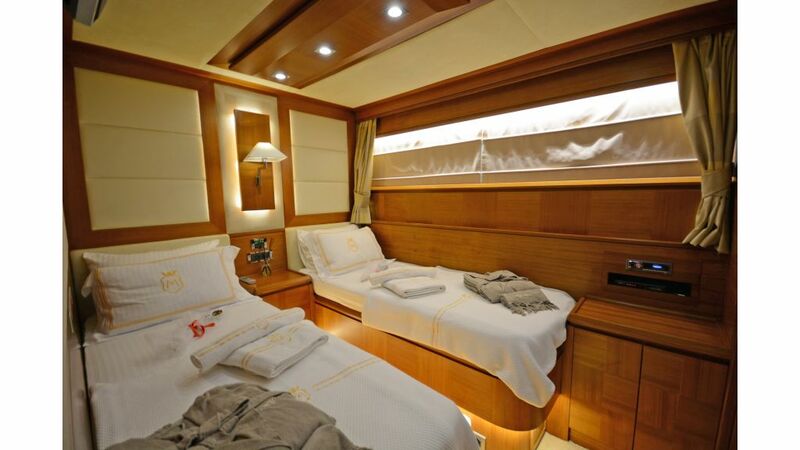 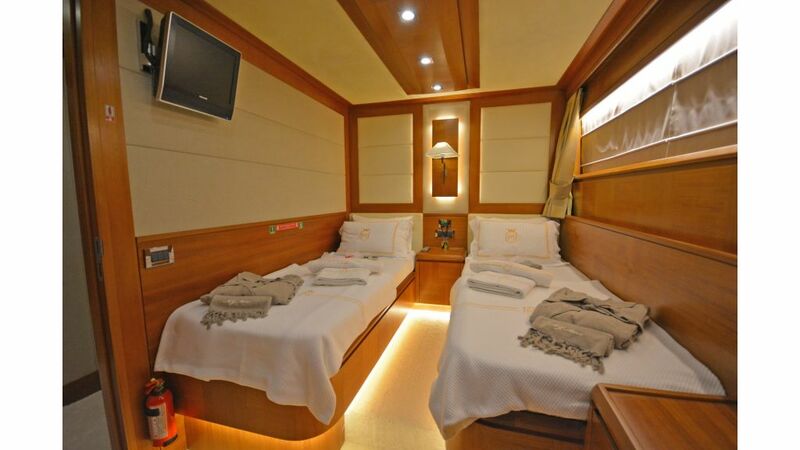 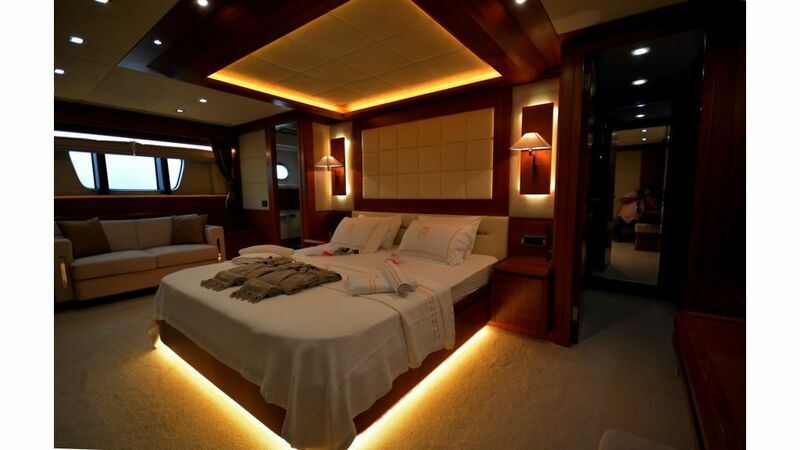 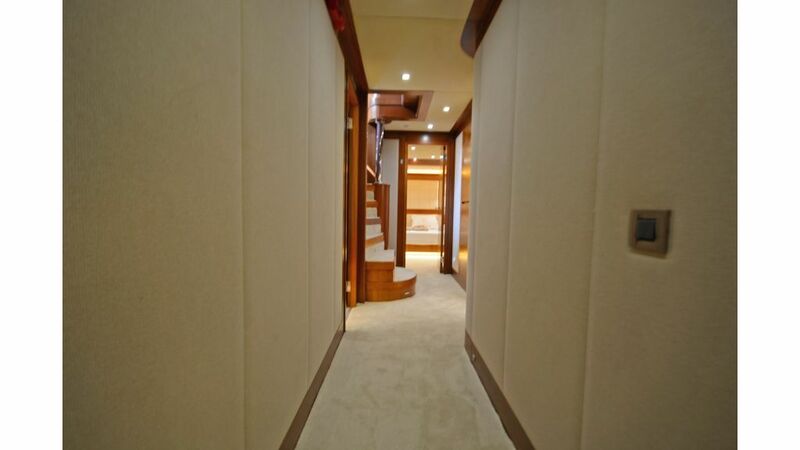 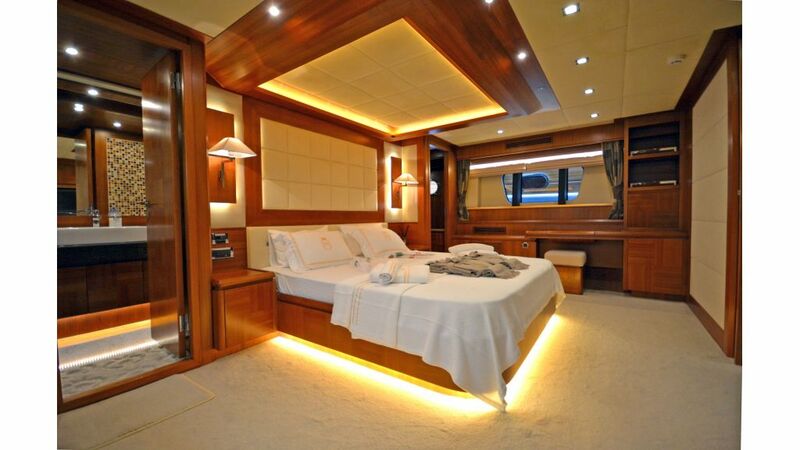 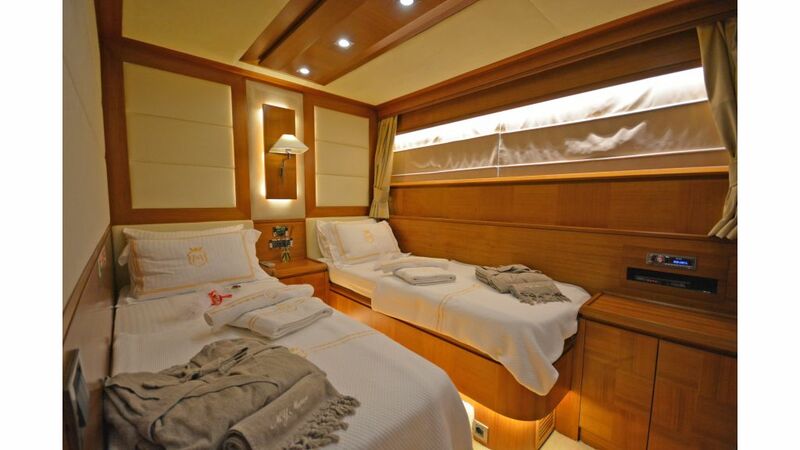 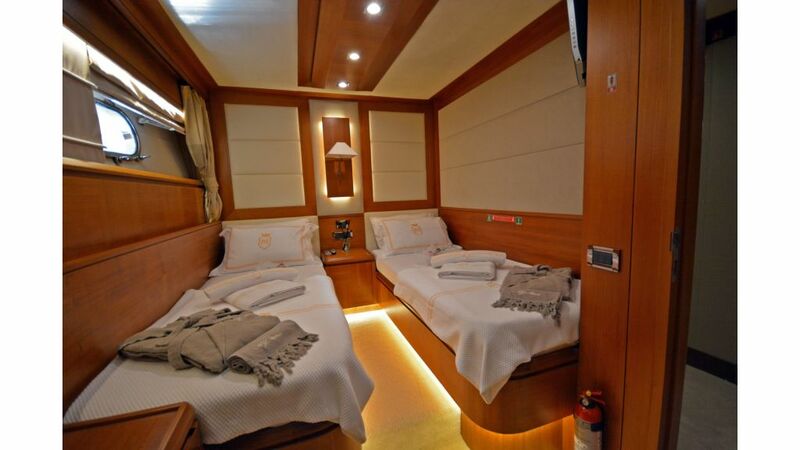 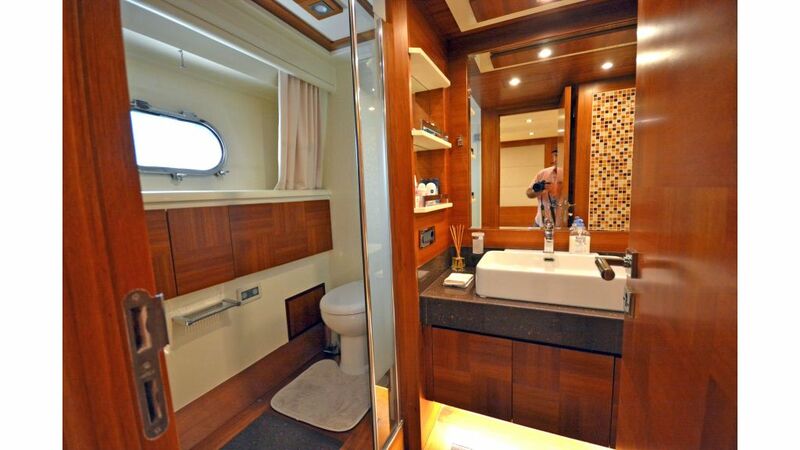 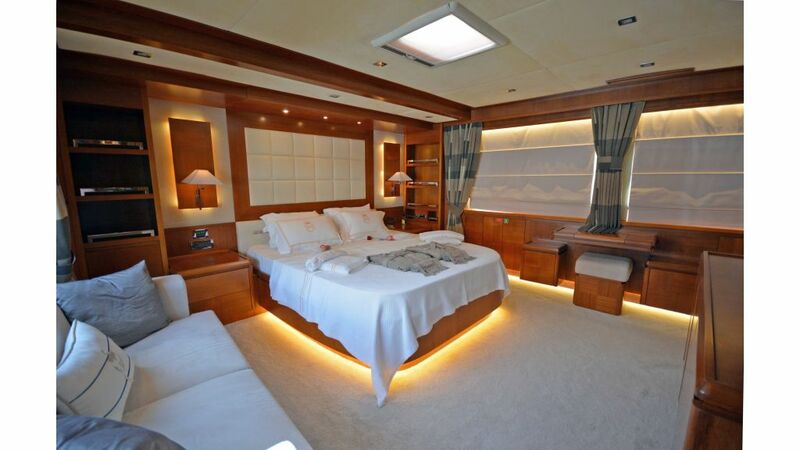 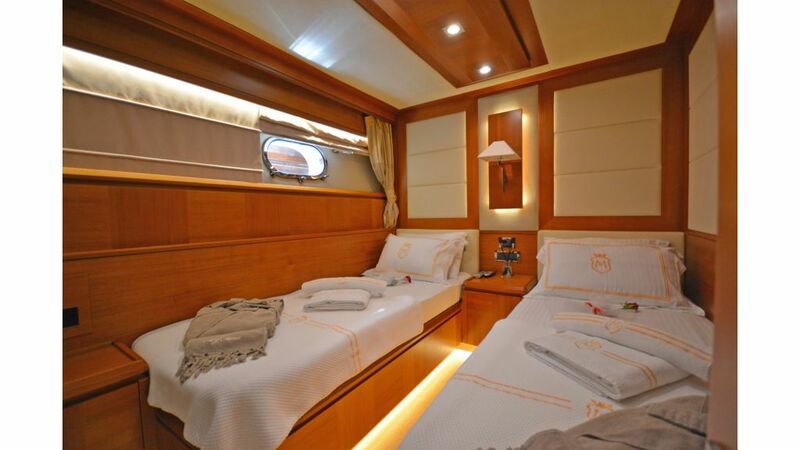 Accommodation: Double x 3 Twin x 2 3 of the staterooms are full beam. 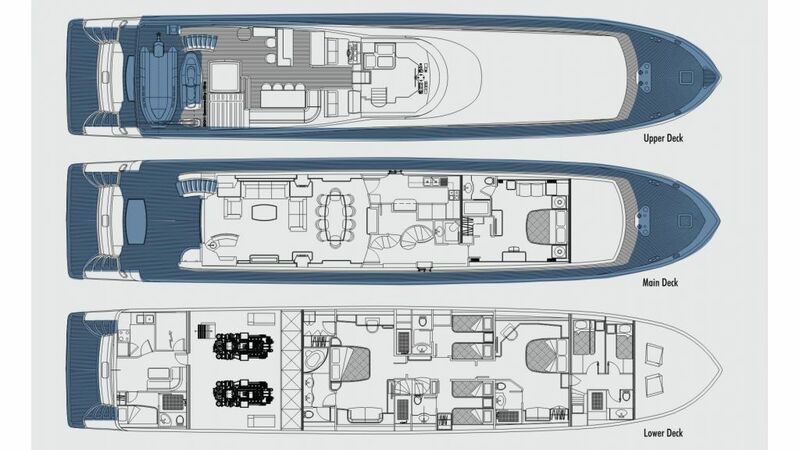 The design of MERVE makes full use of every inch on board, so you get the feeling that you are on a much larger yacht that you are.